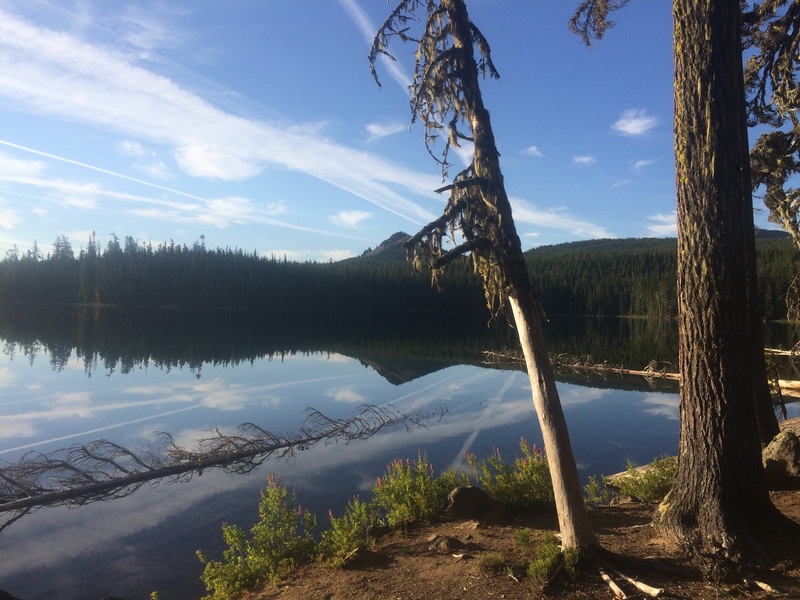 This past weekend Not-a-Bear and I donned our trail names once again and headed to the PCT –this time as trail angels, and weekend car campers, at Charlton Lake in the Willamette National Forest, near Bend, Oregon. 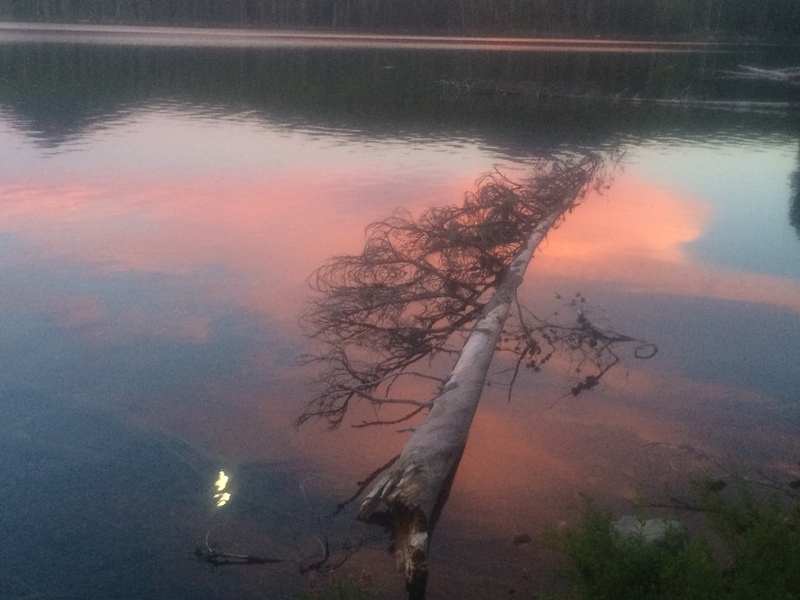 The lake and campsites that surround it are on a lovely stretch of trail surrounded by tall pines and dotted with crystal clear lakes. We passed through the area last year at this time (about a week later), and figured there would probably be a good-sized pack of this year’s PCT thru hikers to feed. We were right! We lost count, but we probably saw around 40 hikers in the two days were we there. We grilled up 60 hamburgers, 32 hot dogs, and 2 veggie burgers, and doled out 48 cans of soda (grape, strawberry, and cream soda were the hits, and favorites of mine on the trail), 72 beers, 2 bags of applies, 4 giant bags of potato chips, sour patch kids, a bag of baby carrots, and lots of baked goods –basically everything we craved as hikers. We didn’t bring any food back with us and ran out earlier than we’d expected. meal. It is something you don’t expect on the trail, but is always appreciated, and often the pick-me-up you need at just the right time. Our highest compliments of the weekend were from hikers who told us they were having a really bad day until they saw our signs on the trail for burgers and beers, and then things picked up. I remember feeling the same. finally got to break out the hammock we got as a wedding gift, thought I’d have more time to relax in it, but we were quite busy with our guests! We really enjoyed chatting with this year’s hikers and learning about how different the trail is compared to last year. 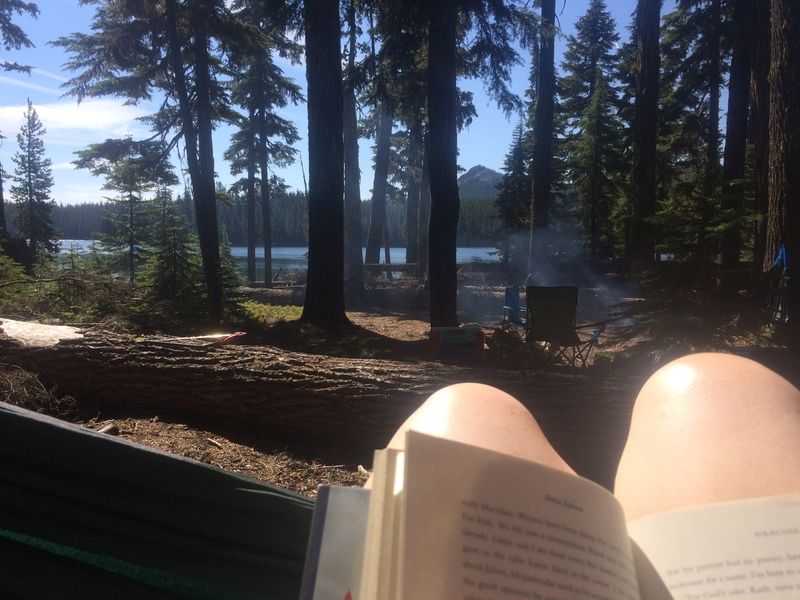 For one thing, they got a lot of snow in the Sierras and had some miserable sounding stories involving miles of snowfields, ice axes, and micro-spikes. I am glad that wasn’t us last year! 2015 was an exceptionally low snow year, followed by a pretty high one this year. This led to more water in sections that were very dry for us, but also an increase in mosquitoes. We had a small smokey campfire burning all weekend to keep them down, but when you left that circle you certainly felt them, and many hikers came in with bug netting covering their faces. The bugs were long gone last year at this time. For us it was nostalgic to be hanging with hikers again (I didn’t even mind the smell! ), and fun to live vicariously for the weekend. For me especially it was really nice to feel like I fit in, something I struggled with most of my own hike last year. I finally felt like I earned my trail cred. It felt good to be able to give advice to this year’s hikers, share our stories, and listen to theirs. 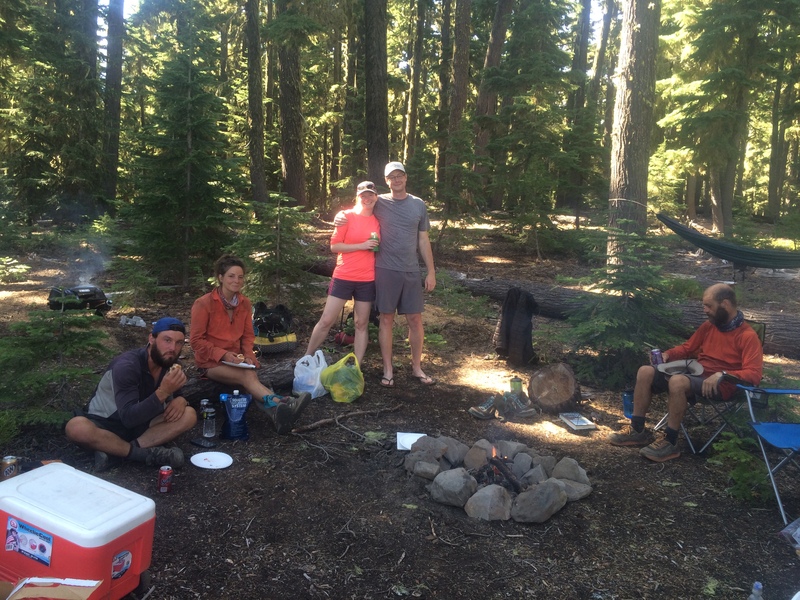 It was a great group of hikers, and just a perfect weekend, topped by heading into Bend on Sunday for the night. 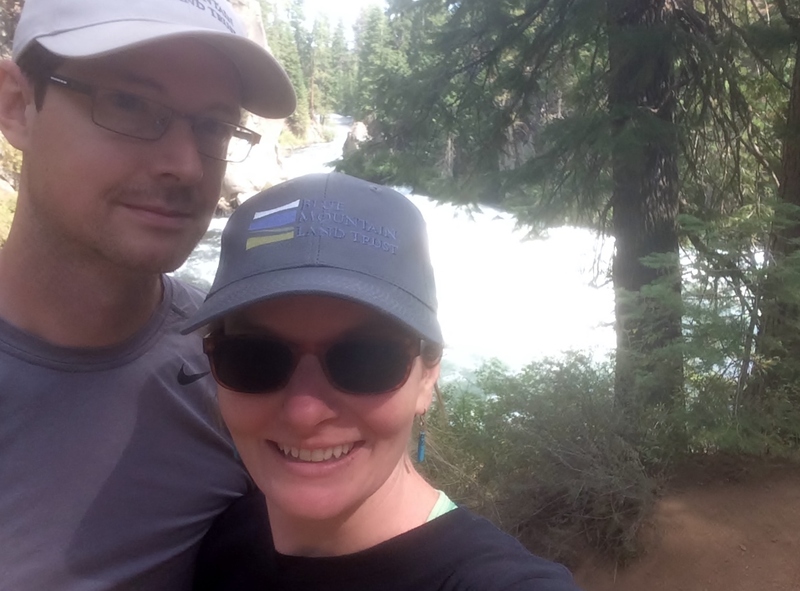 Since we ran out of food on Saturday, we left a little earlier than planned and had time to check out some of the sights around Newberry National Volcanic Monument, like Lava River Cave, a cave created by a hollowed out lava tube, and some rapids on the Deschutes River. 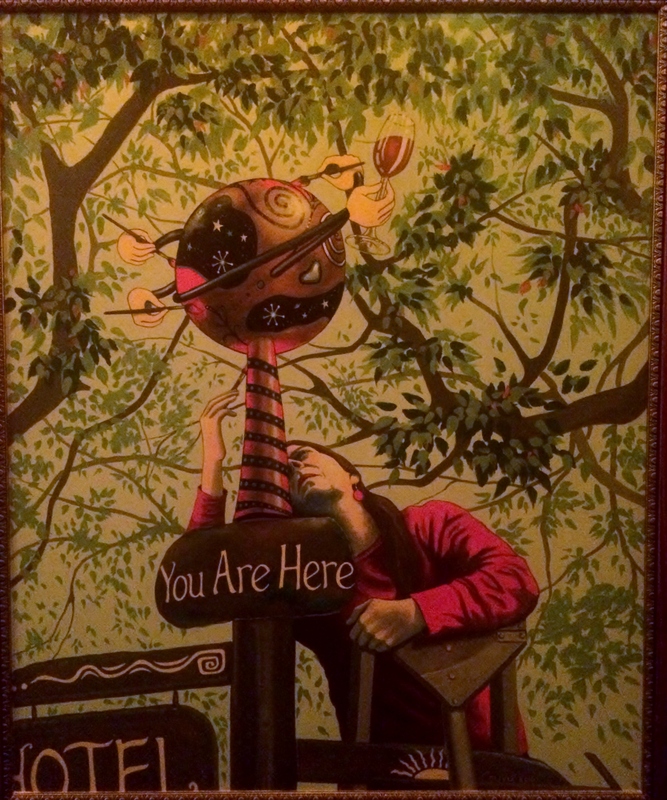 Then we spent the afternoon and evening exploring McMenamin’s Old St. Francis School, a Catholic School beautifully and creatively restored to a hotel, complete with a soaking pool, several bars and restaurants, and even hidden rooms filled with very cool art work. Now we are home, back to the real world, but it was a great mini-vacation. P.S. If you’d like to see some of the things I’ve been up to check out The Passion Project, especially the profile of potter, Amy Hepner, a thru-hiker we met on-trail last year. Subscribe to read about another creative thru hiker I met in the next installment. 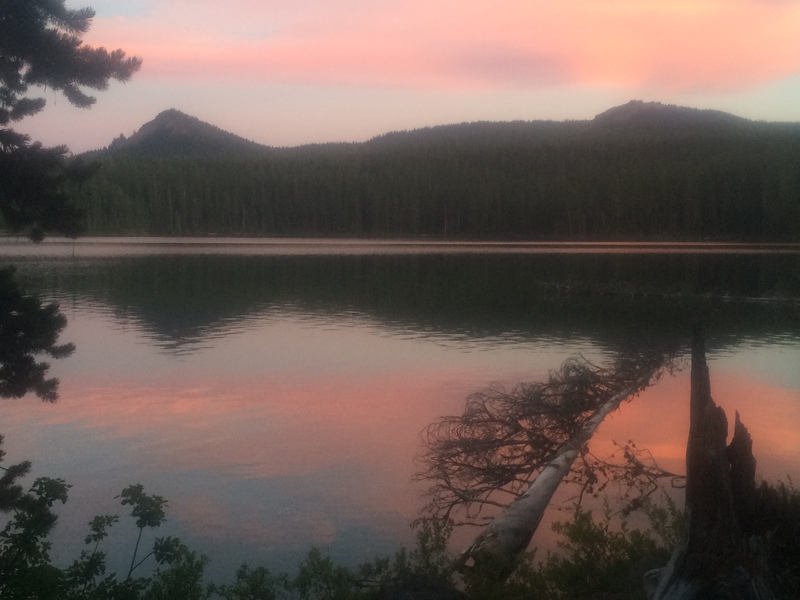 Categories: Oregon, PCT, Random Adventures | Tags: backpacking, hiker trash, long distance hiking, Pacific Crest Trail Thru Hike, PCT, PCT blog, thru hiking, trail angels, trail food, trail magic, trail nostalgia | Permalink.